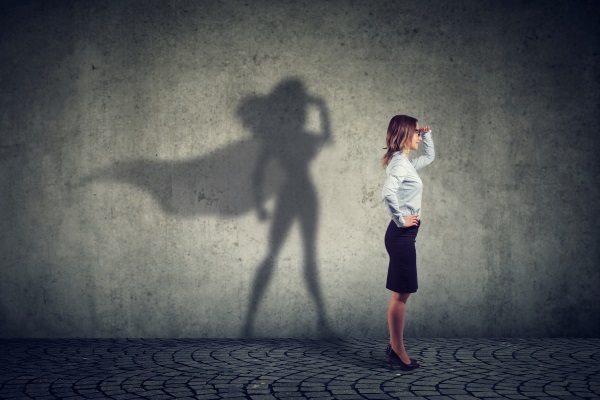 Two-thirds of women experience 'imposter syndrome' in the workplace. How can we combat this voice in our head, and how can we encourage and support the progress of other women? I recently attended an inspiring course led by Carol Jones (Director of Leading Women Education) at my school. The aim of the course was to inspire women into headship. Although I knew the statistics were stark, I was surprised at just how much so. Here are some of the primary school facts that surprised me. Men typically get promoted to leadership within 9.2 years compared to women who take around 12.4 years. Male teachers are paid an extra £900 per year on average to their female counterparts. Education has the third highest gender pay gap (only construction and finance have bigger pay gaps). 86% of teachers in primary school are female, but only 73% of heads are female – if you take the girls’ only schools out, the number becomes even lower! Imposter syndrome is a psychological pattern in which an individual doubts their accomplishments. It was refreshing to hear women in the room being so open and honest about their feelings. It was empowering to know I wasn’t alone. How can you battle this voice? The course provided four great tips on how to battle this voice. I have literally answered the voice with “Leave the stage, I got this thanks.” It sounds mad, but trust me – it works an absolute treat! Have your own personal mantra and repeat it over and over again! I recently found myself at a school that felt 'too good' for me. It is an amazing place full of awe and wonder. I walked around with the head, literally feeling like I wasn't good enough to be there. Your mantra has to be personal to you. I was once told by a head that I had very high emotional intelligence and that it was my unique selling point. At the time, I was too young to understand the importance of emotional intelligence, but recently I have come to understand that my diverse background has given me this incredible tool of emotional intelligence, something that I believe is so important in the world of education and something I am proud of. So, I have made it my mantra. Repeating “E.I is thy, I got this" before entering those overwhelming situations has got me through! Amy Cuddy has a fantastic TED talk about this. She states that in a high power pose, 86% of people will gamble and take a risk, as opposed to only 60% in the low power pose. She also found that power posing for two minutes led to a 20% increase in testosterone and a 25% decrease in cortisol. In a nutshell, two minutes of power posing can help increase the stuff that makes you feel confident and comfortable and reduce the stuff that makes you feel stressed and closed off. Take two before an interview and power pose away! Breathing is without a doubt the single most important thing. Of course it is you say – it keeps us alive! Why is it then we rarely mindfully breath? When you feel imposter syndrome taking over, take a deep breath in, count to five and slowly let it out. Feel those breaths and say goodbye to imposter syndrome. Sometimes imposter syndrome is so overwhelming, that the strategies mentioned above are just not enough. Sometimes, it takes something a little more – a real special kind of thing. The ‘Women in leadership’ course gave me an opportunity to reflect on my own journey, particularly the need for women to have advocates. I remember June 2014, like it was yesterday! It was a very hot Thursday, I was eight months pregnant and an internal post had come up. My ideal job at the time – assistant headteacher – leading English! I, of course, didn't apply. Why would I? I was ready to pop! It was application deadline day and the headteacher at the time entered my classroom. “Why haven’t you applied for the post?” she asked. Just like that she left my classroom. In that moment, I felt so empowered as a woman. A simple human interaction left me feeling like I could conquer the world. I could conquer the world being eight months pregnant! I didn’t quite conquer the world, but I conquered that application process. From the application form to the data task to the presentation on leadership – I conquered it. My eight month bump and I got promoted to assistant head! It wasn’t plain sailing, there was a lot of resistance. The job was a September start – this was to be the second month of my maternity. I was unlikely to be acting the role for a year. Some staff just couldn’t understand it – they felt I was being unfair to the school. I was filled with guilt – imposter syndrome! It wasn’t the positive mantra, the breathing or the power posing that helped – it was my head at the time. She had taken a huge gamble. I had an advocate and that filled me with self-belief, determination and grit. I will forever be grateful to that head – she showed me more than anyone else that every woman needs a champion! Be a champion for women – change the stats! Find the woman in your school who is not going for that promotion, because she is trying for a child. Find the woman in your school who is quietly beavering away. Find the woman in your school who is fighting that voice in her head and be that tap on the shoulder, nudge her along and let’s together change those numbers. We owe it to ourselves, we owe it to each other and we owe it to the children.